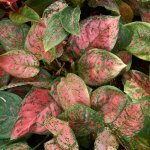 One of the first things that you should decide is if you want brilliant colors in the leaves or in the blossoms of your flowering houseplants. 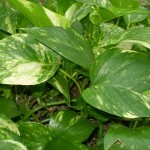 For example, if you are interested in brightly colored leaves, you can get houseplants like spider plant of fireflash. Both of these plants have very brightly colored leaves with white blossoms (which make a really pretty contrast). Or, you may decide that you want colorful blossoms instead, and you might be interested in getting a plant like the African Violets, which have a variety of great colors for their blossoms! You also might find that you would like brightly colored leaves and flowers â€“ which may cause you to be interested in a flower like Wandering Jew (which has deep purple leaves and light purple flowers). Another thing that you will want to take into consideration is the amount of sunlight that it is in your home. 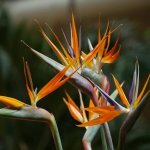 There are some flowering houseplants that only do well in bright sunlight, and there are others that do better in the shade. Make sure that you research the flowering houseplants that you would like to purchase, so that you can be sure that your plant will do well with the amount of sunlight in your home. If you are really set on having a certain plant in your home, make sure that you can place the plant in a certain area that will give it enough light. Or, you can also explore the option of purchasing light lamps that can give your plant the light that it really needs. Also, you should be aware that there also are some brilliant flowering houseplants which do well in both sunlight and shade too, such as the Angel Wing Begonia. 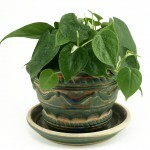 You also will want to select a brilliant flowering houseplant which you will be able to care for well. Make sure that you will have the time required to water the plant, pull deadheads off of the blossoms, etc. If you are a person who travels a lot and isn’t in the home often, you might not want to get a plant that needs to be watered every day. Keep in mind how you will be able to care for a plant when you are in the process of selecting brilliant flowering houseplants. Will your plant be hanging? Another thing that you need to take into consideration when selecting brilliant flowering houseplants is if the plant will be hanging. Some plants, such as the spider plant, has long grassy leaves which look best when hanging. If you have a certain space in your house in mind while looking for houseplants, make sure that you pick a plant that will be able to work well in that space, whether that space is hanging from the ceiling or placed on top of something. How much space do you have for houseplants? 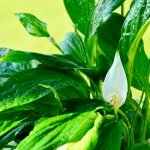 Make sure that you research and learn about how large your potential houseplants can grow â€“ you don’t want your houseplants to push you out of the house! When selecting flowering houseplants, you should always see how much space you have available for plants, and pick a plant whose full grown size will look good in that space.